Below you see all the shark species that we commonly interact with during our workshops. Each species is described with the most obvious behaviors around humans. For a full description, see Erich’s book “Shark-Human Interaction.” The species are ordered alphabetically. Azores: Blue shark, mako shark. Bahamas-Grand Cay: Caribbean reef shark, blacktip shark, nurse shark. Bahamas Eleuthera: Caribbean reef shark, blacktip shark, nurse shark. Bahamas-TigerBeach/Bimini: Caribbean reef shark, lemon shark, tiger shark, bull shark, great hammerhead shark, nurse shark. Cocos Island: Scalloped hammerhead, galapagos shark, whale shark, tiger shark, silky shark, whitetip reef shark. 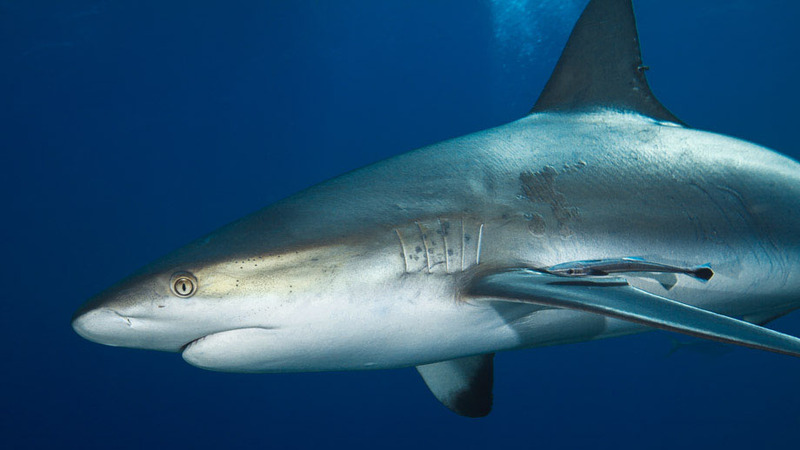 Coiba & Malpelo: Whale shark, silky shark, blacktip shark, galapagos shark, whitetip reef shark. Egypt-Red Sea: Grey reef shark, thresher shark, oceanic whitetip shark Maldives: Grey reef shark, silky shark, silvertip shark, whale shark, zebra shark. Galapagos: Scalloped hammerhead, galapagos shark, whale shark, whitetip reef shark. Guadalupe: White shark. 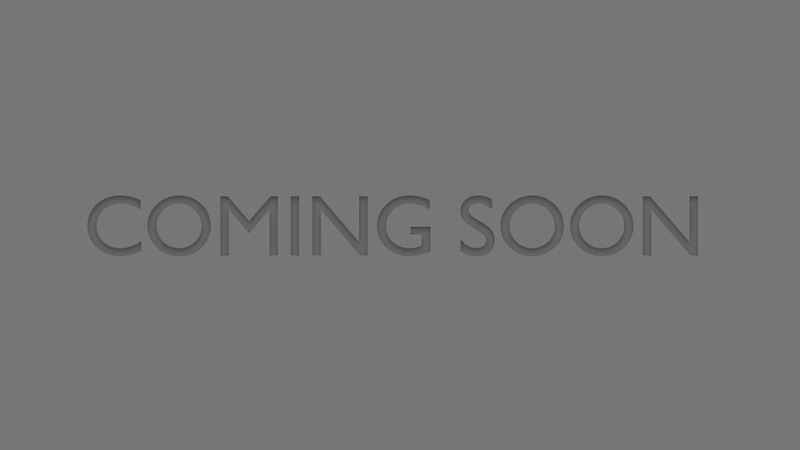 South Africa: Scalloped hammerhead shark, bull shark, blacktip shark, dusky shark, sandtiger shark. 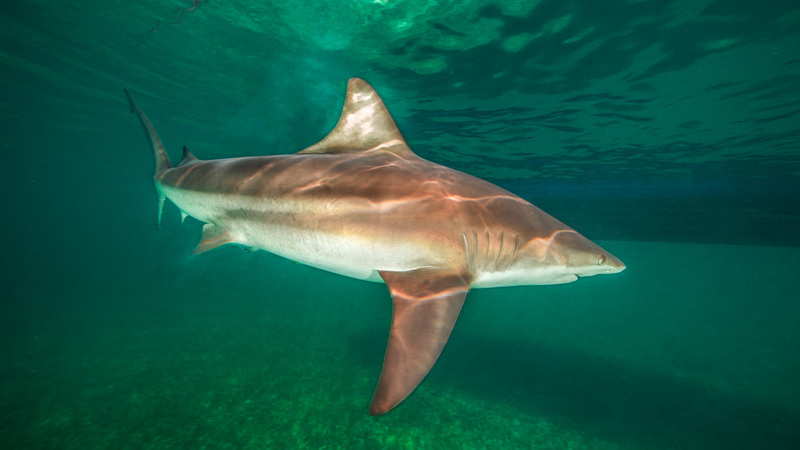 Blacktips, also called 'pelagic blacktips' are often confused with blacktip reef sharks (C. melanopterus). These two species are like "day and night" when it comes to interaction. Where the blacktips are often very curious with hardly any threshold to approach humans, the blacktip reefs are the exact opposite. 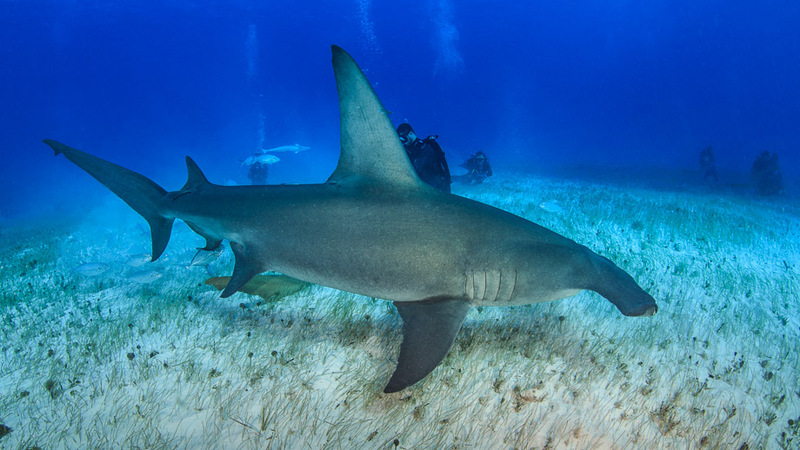 Blacktips are probably the most interesting species to interact with (Caribbean reefs are close second) since they are hardly shy, they allow pretty much anything you try (when it comes to interaction exercicses) and seem to seek human contact. This species is the most favorite one of Erich Ritter. Blues are often curious and approach humans rather quickly and will then stay in close proximity for long periods of time. When being fed, they can get very bold. 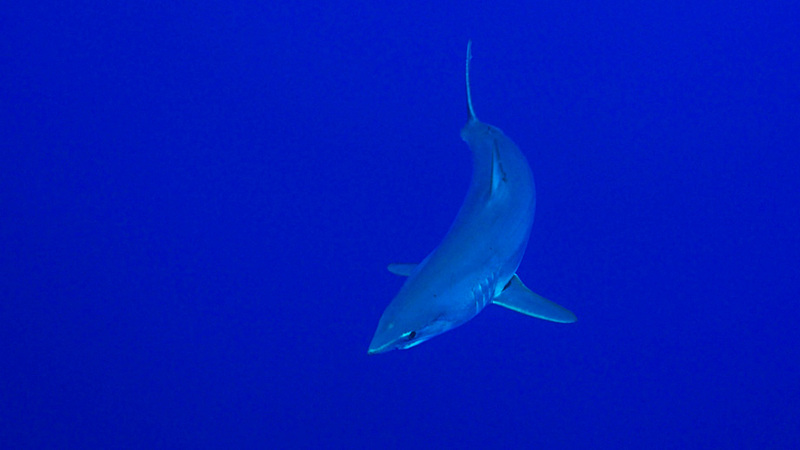 One of the main reasons why blue sharks lower their hesitation threshold rather quickly once food is available seems to be the rather low food density of the open ocean. Any potential food sources need to be investigated quickly, even a novel object (e.g., a human being), otherwise other sharks could approach and then claim the object should it be edible. 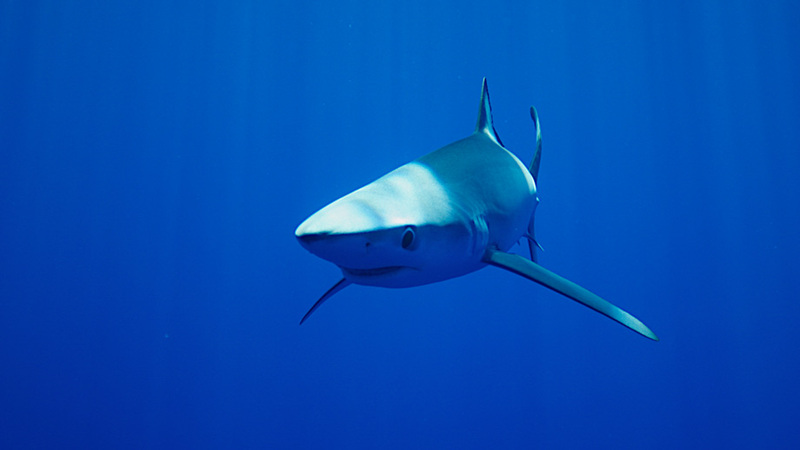 Blue sharks often touch or bump divers when exploring them. Accidents have happened in the past. A curious species, the bull shark approaches rather quickly with a very small inner circle, often less than one body length. Their size, together with their small personal distance, makes them appear very intimidating. 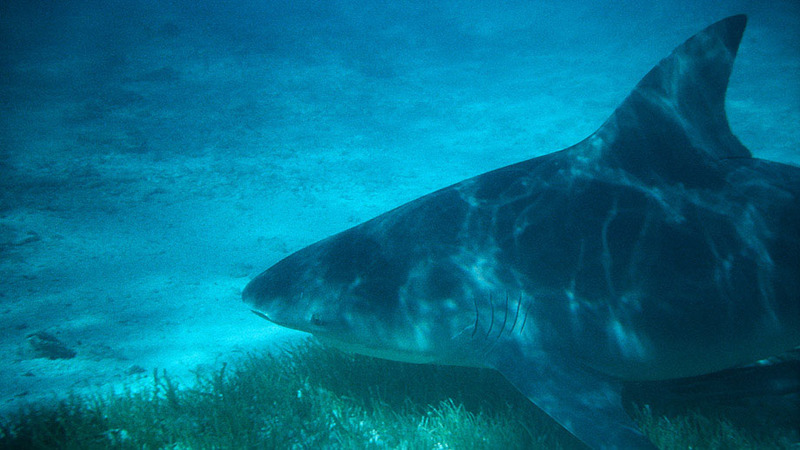 Since bull sharks prefer to swim in shallow waters (where encounters often occur), the irrational behavior of people can easily lead to the blocking of a shark’s escape routes, creating dangerous situations. 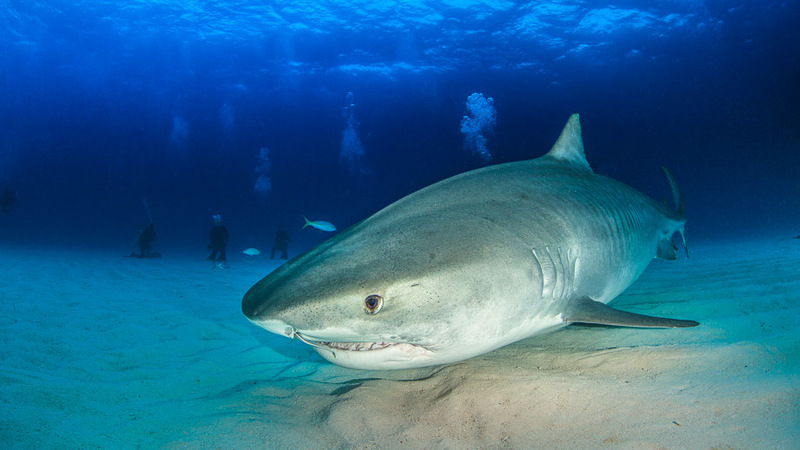 Contrary to popular belief, however, bull sharks are no more dangerous than other species under similar circumstances and will primarily defend themselves should there be not way out, but they do not “go after people” (as often implied). 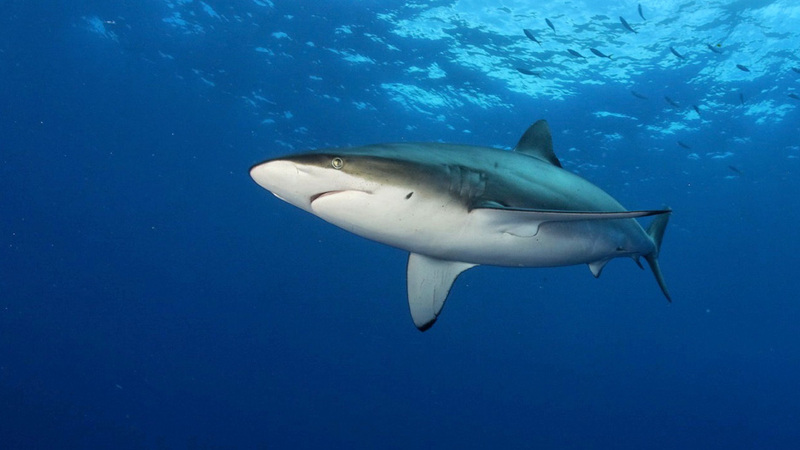 Nevertheless, bull sharks are one of the very few species that are regularly involved in fatal incidents. 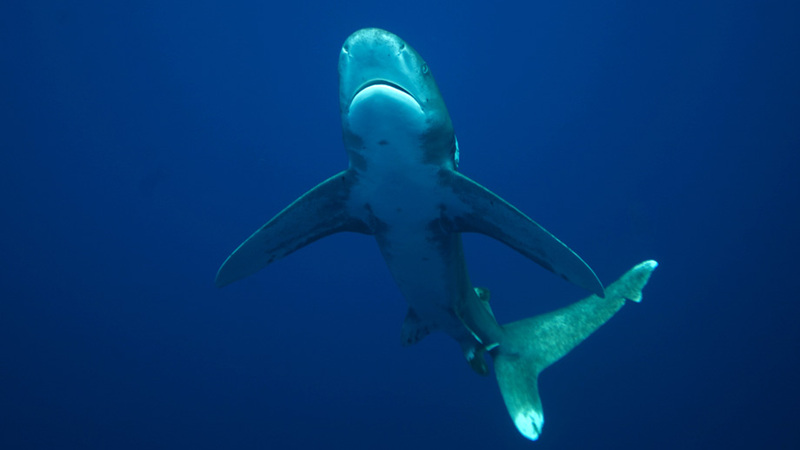 This is a very curious shark, often approaching as close as one body length. Individuals can be quite obtrusive, mainly when encountered in the shallows (but unknown if the lack of depth is the stressful factor). 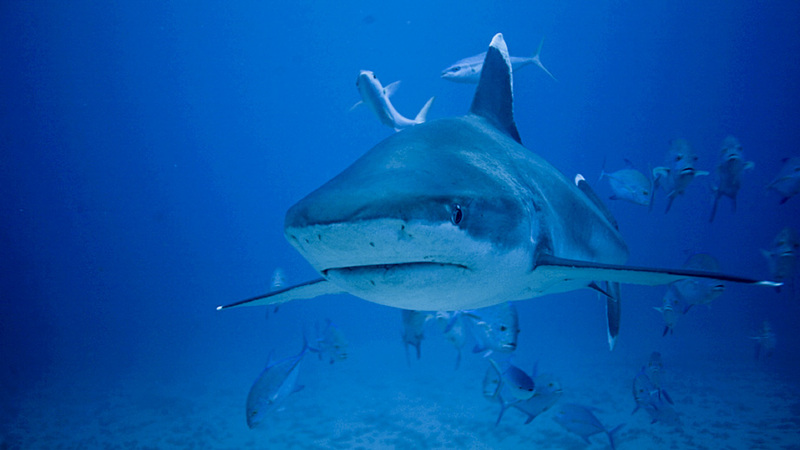 This shark is the most commonly fed species in the Bahamas and Caribbean (shark diving). It has been mentioned that they turned “aggressive” when not being fed at the respective sites but such is merely a personal (and erroneous) interpretation lacking any hard evidence. It is not correct that these sharks would purposely bump into divers or bite to encourage divers to feed them. Accidents have happened in the past. These sharks are not well-known around humans. This species is probably often mistaken for the Galapagos shark; hence, it is questionable if the incidents attributed to this species were indeed caused by duskies and not by Galapagos sharks. They are inquisitive animals and accidents have occurred. These sharks approach humans rather quickly and may stay in the vicinity of them for extended periods of time, and then often shadow the divers. As with other species, an interaction strongly depends on the environment (in addition to situation related circumstances). Galapagos sharks can be very obtrusive. When coming closer (mainly during their first approaches) they often seem to be attracted by a diver’s fins and a slow withdrawal is advised should the initial curiosity not cease. If a bite (into the fins) seems likely, stretching the fin towards the shark is the best policy (to prevent that the shark tries to swim “under the diver”). However, such bites are mostly superficial (mainly of exploratory nature). If the shark does not back off, leaving the water is necessary. If exiting the water is not possible, a diver should follow the FACE-GUIDE-PUSH-MOVE rule. Some incidents with this species are known but all of them were provoked by the later victim. This shark can be cautious but also very bold, it all depends on the situation. If food is close by, they seem to completely ignore people (and so can pass by very, very close). 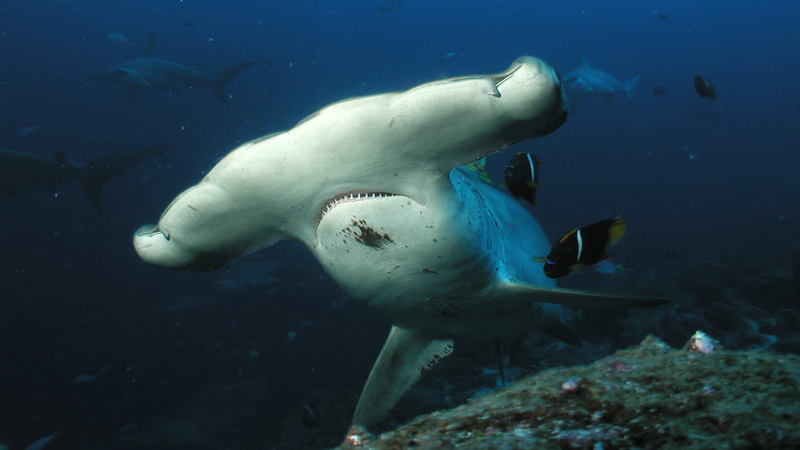 Although large sharks should always be approached with caution, the negative reputation great hammerheads have among some people is without solid basis. This is probably the most frequently encountered species in the reefs of the Indian Ocean and the Pacific Ocean together with the whitetip reef and blacktip reef shark. Although rather curious, these sharks hardly ever come very close and keep their distance except when being fed or around cleaning stations. However, if a diver is positioned too close to a cleaning station, these sharks stay away. Accidents have happened with this species. This is an easy species with which to interact. 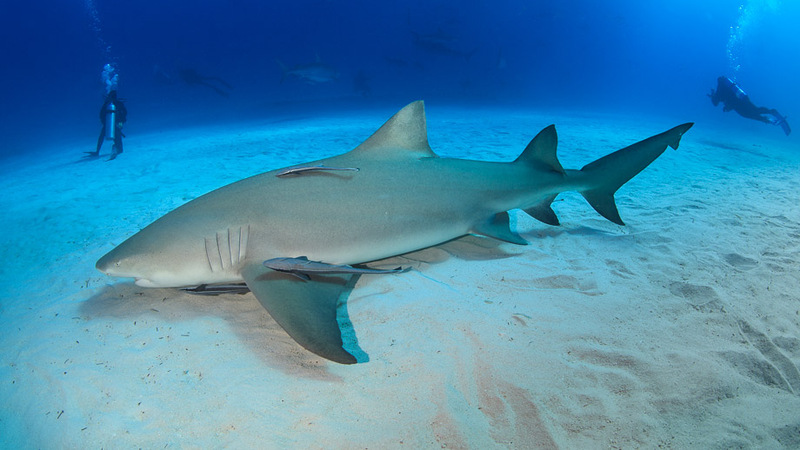 Their size and often rather direct approach might be intimidating for some divers, but their slow speed makes it easy to “step to the side.” If a person is not comfortable being approached by a lemon shark, an active approach towards the animal will always lead to an immediate direction change by the shark. Its “easygoing nature” has fooled people and accidents have occurred. The shark is very curious and approaches rather quickly. Oceanic species commonly possess a lower threshold of hesitation towards humans than, for example, reef or shallow water oriented species. 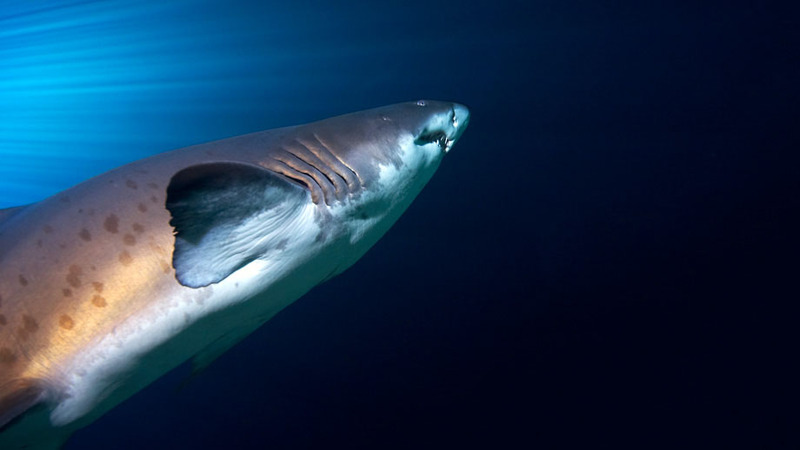 The most likely reason is the competition among oceanic species resulting from the more limited food sources in open water, hence exploration of unfamiliar things (which is likely seen as potential food until further examined) must be undertaken rather quickly (even more so if other sharks are in the vicinity). 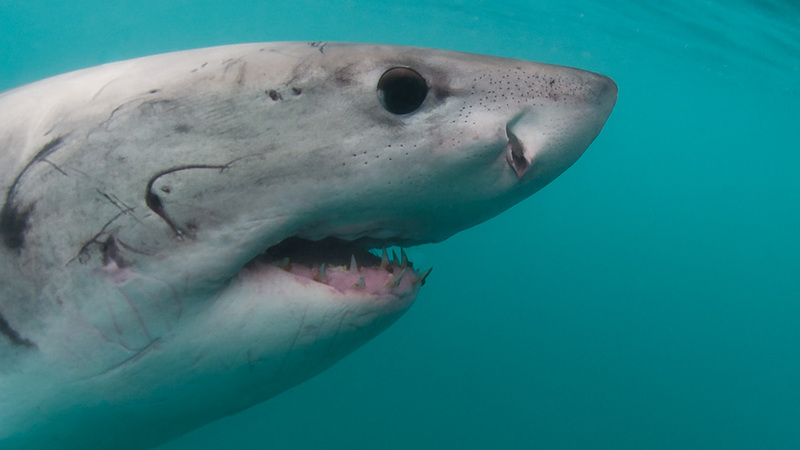 Mako sharks have been involved in accidents in the past, mainly spearfishing people have had their share of encounters when makos tried to compete for their catch. Because of their size and speed, mako interaction should not be taken lightly. 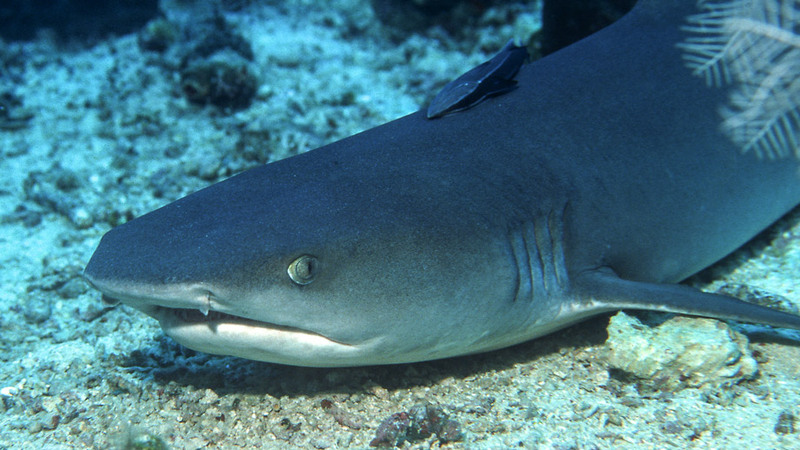 Nurse sharks are not suitable for interaction and generally, swim off should a diver come too close. Should these sharks settle below ledges, one should refrain from touching them since they startle easily, quickly dart off, and possibly create a dangerous situation considering their size and the often tight spaces within reefs. 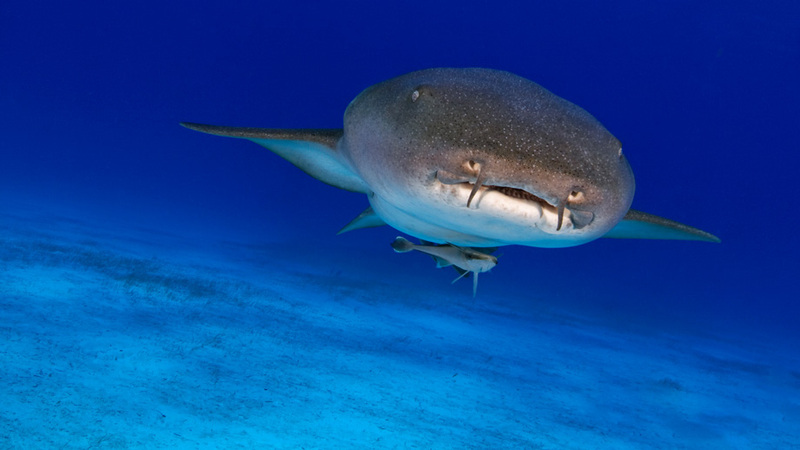 If an escape route is blocked or a diver is even holding on to the tail of a nurse shark, the animal can and likely will bite. Despite their rather small teeth, their bites can cause severe wounds. Nurse sharks are also known to sometimes hold on to a person and not let go (similarly to pit bulls). They are very powerful animals. This is one of the prime sharks for interaction. Feeding should be avoided, since these sharks are very curious to begin with and often bold, and food erases even the last threshold of hesitance. These sharks seem to have a preference for a diver’s fins, which should not be moved (preferably a diver should get into a vertical position) when a shark is very close. This animal comes across as rather obtrusive and accidents (even fatal ones) have happened because divers started to hit them with their cameras. If a diver feels the need to push a shark off, it should be done by touching the shark’s gill areas (or pushing water towards this region). Even if the shark then backs off (but remains in the visual vicinity), the dive should be terminated. The “hovering behavior” of these sharks makes it easy to get close and interact with them as long as one does not cut off escape routes, mainly a problem when encountering them in caves or narrow passages. These sharks come the closest if a diver is not moving at all and gives them enough time to approach. Nevertheless, despite their seemingly sluggishness, they are very (!) powerful and should never be underestimated. Accidents are known to have happened. Scouts (single animals, who as part of a larger group or school, seemingly approach a person to then report back to the group about what they encountered) often come very close, and pass one or two times before leaving again. The actual school is not in the visual range of the diver. Some interaction with scouts is possible but very limited. If scalloped hammerheads are encountered within reef areas or general areas around cleaning stations, interacting is easier. If a diver positions himself/herself close to cleaning stations, it is important to leave enough space for the sharks to move around, including enough escape routes. There are hardly any incidents known with this species. Small and juveniles approach rather quickly, and then remain in a person’s vicinity. Larger animals often stay farther off but keep eye contact with divers. Silkies usually withdraw quickly if approached (even the smaller animals), which is in contrast with their behavior when food is introduced. 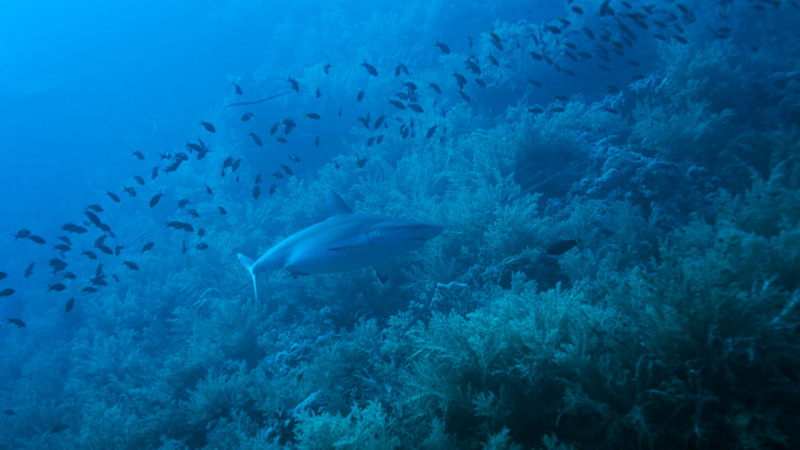 During spearfishing, these sharks can get very bold and even try to get the fish off the spear. Any interaction with silkies around food has to be performed with the utmost caution. Despite being often confused with other species, silkies have been involved in accidents. These sharks are curious and approach rather quickly (mainly juveniles and small adults) often as close as one body length. They often remain at the site when divers are present. Mainly large, adult animals are known to have performed frontal approaches (head-on), which has been misinterpreted as “threat behavior.” They are seemingly attractable through low frequency sounds. Some bites have happened in the past. Not much is known about the three species around humans. 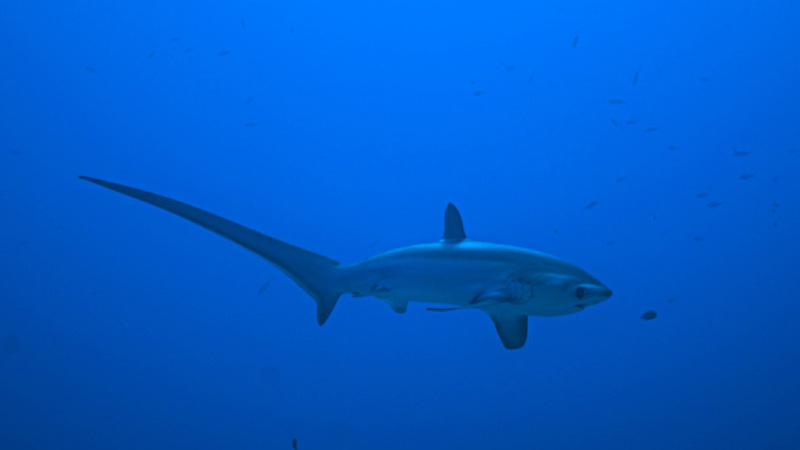 Pelagic threshers often drift (with the current) along reefs/walls and may approach divers rather closely (less than a body length) as long as the divers do not move towards them and keep holding their breaths. The same is true around cleaning stations. A few incidents are known. This species should not be taken lightly. Although they are often shy at first sight, they can get quite comfortable with a situation and then might come very close. They normally swim very slowly between divers but can accelerate rather quickly. It is best never to approach a tiger shark but to let the animal come closer. As with many large species, tiger sharks have a rather small inner circle and often approach as close as one body length or even less. If food is available, an inner circle might vanish completely. Incidents with this species are on the rise due to shark feeding dives. These situations do not get dangerous because the sharks suddenly change their behaviors and start to act out of character but because the operators/safety divers are not up to the task, and the participating divers are not informed how to act/react properly. 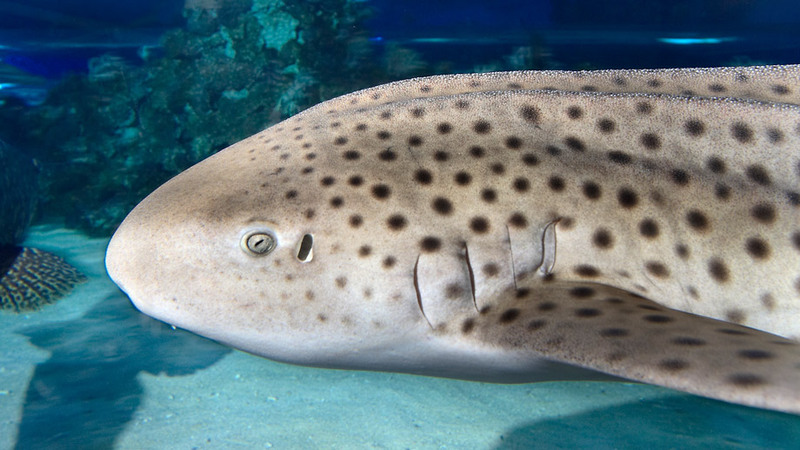 Despite its reputation, this shark is very shy at first contact but calms down fast and then approaches very closely, often as close as touching distance. Despite their frequent and sometimes close advance to divers, they should not be approached. Some white sharks are rather sensitive to being touched at their pectoral fins (likely because these fins are used for steering). Although white sharks often pass very slowly, their massiveness creates a lot of momentum and a sudden turn can be problematic should the shark be in close proximity to a diver. 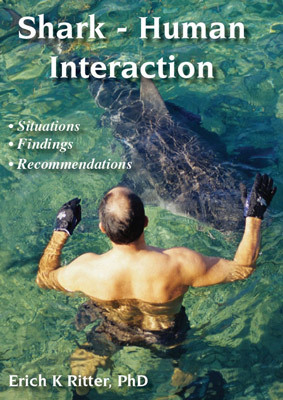 Despite their undeserved reputation, interaction with white sharks should not be taken lightly, and if given the choice, a non-experienced diver should withdraw. This is one of the very few species that is regularly involved in fatal incidents. These sharks are not shy but an actual interaction is not possible, except when the diver lies at the bottom next to a resting whitetip reef shark. Some minor accidents are known. 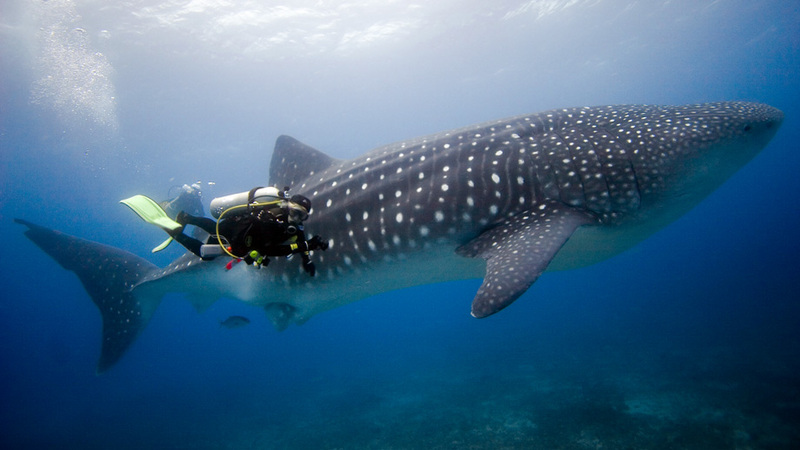 Whale sharks can easily be approached by divers and snorkelers, but an actual interaction does not really take place. However, should one be positioned within a plankton bloom and the sharks are feeding, a true interaction might occur. These animals, however, can easily get stressed by the presence of divers/snorkelers and swim away. Whale sharks are known to “hit” boats, which has been interpreted as an attack. This is similar to incidents with their tails when turning very close to divers. Whale sharks are very docile and encounters in which boats or divers were hit are the sole responsibility of the people and their carelessness in not paying attention to a developing situation. These sharks are shy when approached. No incidents are known.